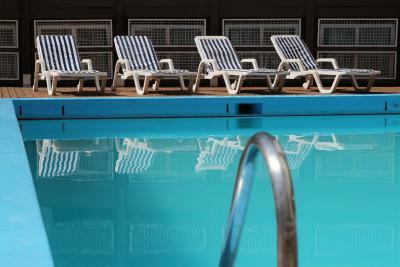 Lock in a great price for Castelmar Hotel – rated 8.1 by recent guests! The single elevator stopped to work for a few hours and we were in the 11th floor. The bedrooms look more like an one bedroom apartment then a hotel suite. Excellent location, service and the room view was amazing! Very comfortable when you share the room with other people. The location.. The room is big. Bed is good. Breakfast is good with many fruits. The staff is friendely and helpful. 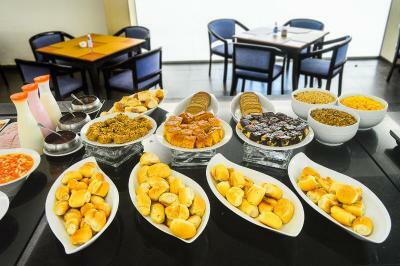 We had a great breakfast and the hotel location fitted well our needs. The room was large, but felt welcoming. Good for one or 2 night stay. The room had ample space and the location was great. 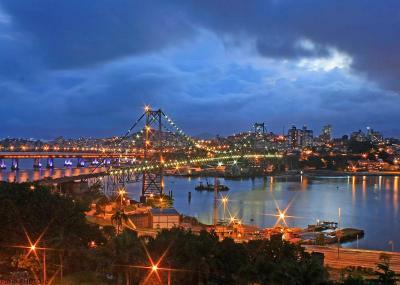 The view from our window was amazing overlooking the bridge. The breakfast is nice and so was the staff. Internet worked well. New wing room Excellent. 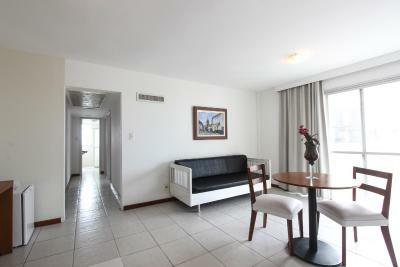 Large apartment with two bedrooms, living room and bathroom. Everything very new and clean. 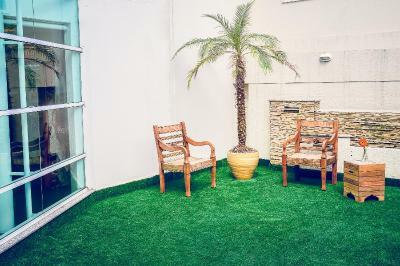 Castelmar Hotel This rating is a reflection of how the property compares to the industry standard when it comes to price, facilities and services available. It's based on a self-evaluation by the property. Use this rating to help choose your stay! 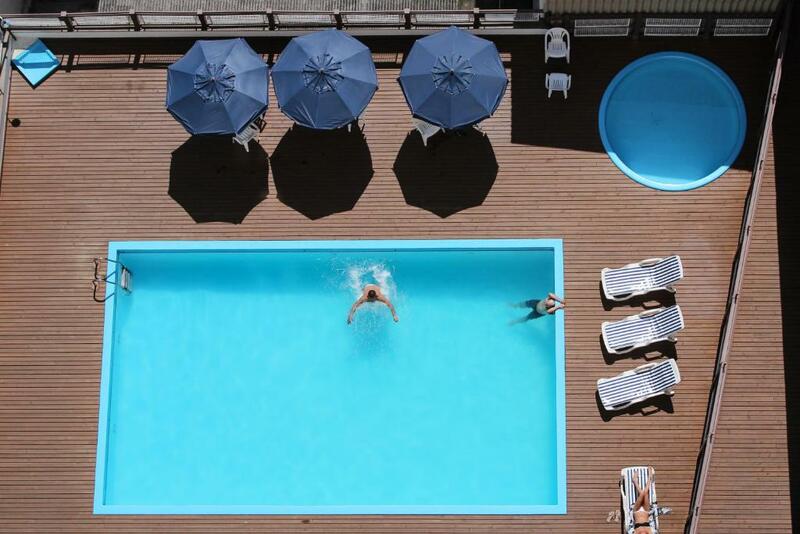 One of our top picks in Florianópolis.Boasting an outdoor pool and an on-site bar, Castelmar Hotel welcomes you in Florianópolis offering easy access to the Hercilio Luz Bridge and only 0.6 mi from the Public Market. Free WiFi is offered and private parking is available on site for a surcharge. The property is pet-friendly. 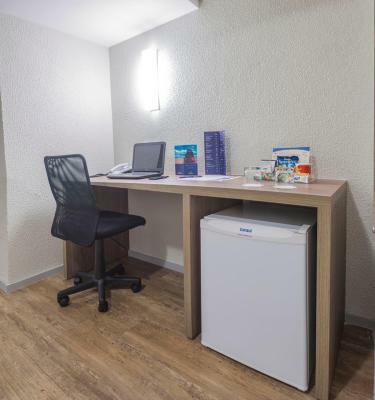 All air-conditioned rooms at Castelmar feature a TV with cable channels and a mini-bar. 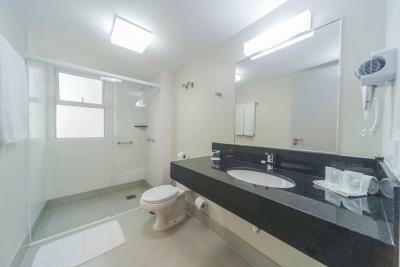 Bathroom is private and extras include free toiletries. 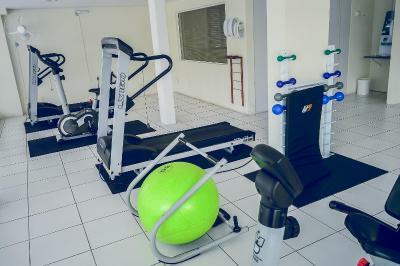 The property also includes well-equipped fitness center and a 24-hour front desk. 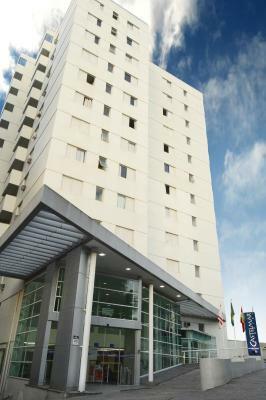 The convention center at Castelmar Hotel counts with spacious meeting rooms in a total area of 4.6 ft² in size. Equipment and personal assistance are also available. 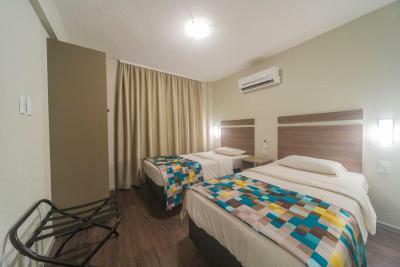 This 3-star hotel is also a short drive from the city’s bus station and to other popular attractions, such as the Benjamin Constant Park. Hercílio Luz International Airport is 8.1 mi from the property. 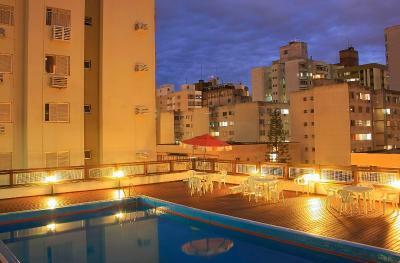 Downtown Florianopolis is a great choice for travelers interested in food, sightseeing and tourist attractions. When would you like to stay at Castelmar Hotel? 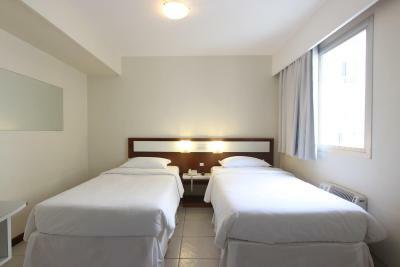 With tiled floors, this air-conditioned room features a cable TV, a telephone, a mini-bar and private bathroom. 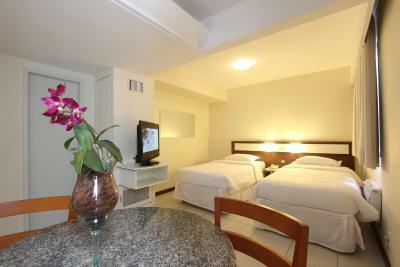 This twin room features a mini-bar, air conditioning and tile/marble floor. This quadruple room has a balcony, mini-bar and air conditioning. 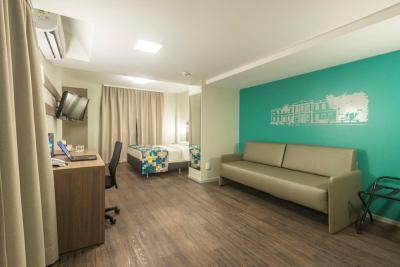 Located on the new wing of the property, this twin room features a mini-bar, air conditioning and tile/marble floor. 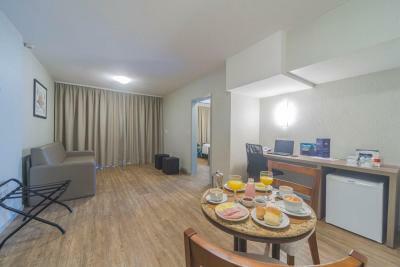 Located on the new wing of the property, this double room has a mini-bar, air conditioning and tile/marble floor. 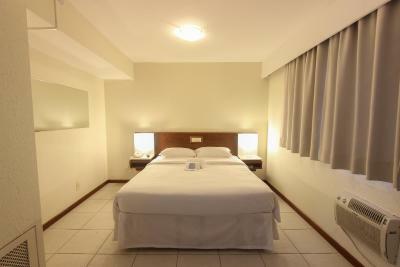 Located on the new wing of the property, this triple room features air conditioning, mini-bar and cable TV. 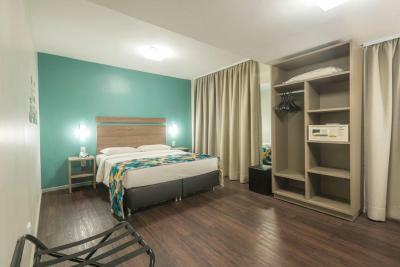 Located on the new wing of the property, this triple room features a balcony, mini-bar and air conditioning. 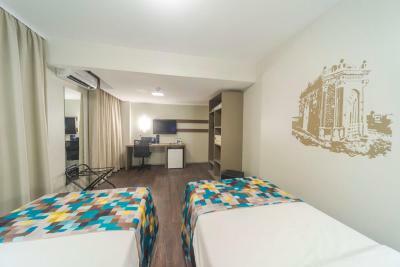 Hotel surroundings – This neighborhood is a great choice for travelers interested in food, sightseeing and tourist attractions – Check location Great location - show map Guests loved walking around the neighborhood! 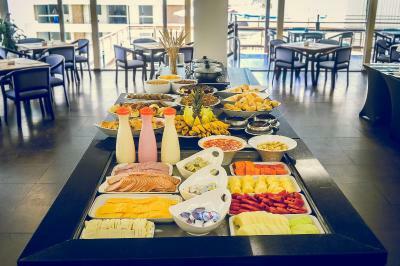 House Rules Castelmar Hotel takes special requests – add in the next step! Castelmar Hotel accepts these cards and reserves the right to temporarily hold an amount prior to arrival. Please note that pets can only be accommodated in some categories. Please contact the property for further details. The air conditioner is old and noisy. Some furnitures are old, stained. Should be changed. They have coffe machines but dont have any change for the guests to use. I think the bed could be more comfortable. Understaffed (Main Session), some guests had to take breakfast in an undecorated conference room. The front tower single room was so old. There were mold in the walls and the bathroom were so small and in a urgent need of a renovation. I arrived at 1am and didnt have any towel in my room There is NO iron in the room and if you want to have your clothes ironed you need to pay for that! Return on the same day, +50%!! Even Ibis has iron to share! Ahhhh they just have ironing during commercial time If you are on a business trip, forget this hotel! Bed was hard and pillows were flat. Breakfast was very ordinary but plenty of it. Close to the water. 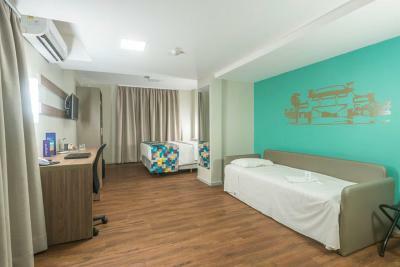 Cleanliness and facilities like ar conditionar and shower. The ONLY issue was the pillow. They were really low in height and there were only 2 for a double room, no extras. I booked a quadruple standard room, however the “standard” room didn’t meet my expectations, it was very dated. 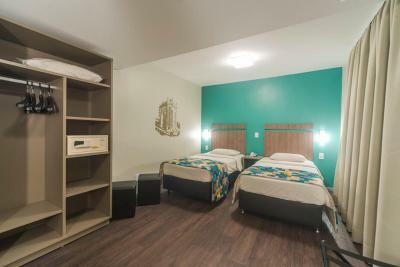 I complained and they updated my room to a family room which had recently been renovated. Stay away from anything that says “standard” in Brazil. Their rating system appears to be different than USA.